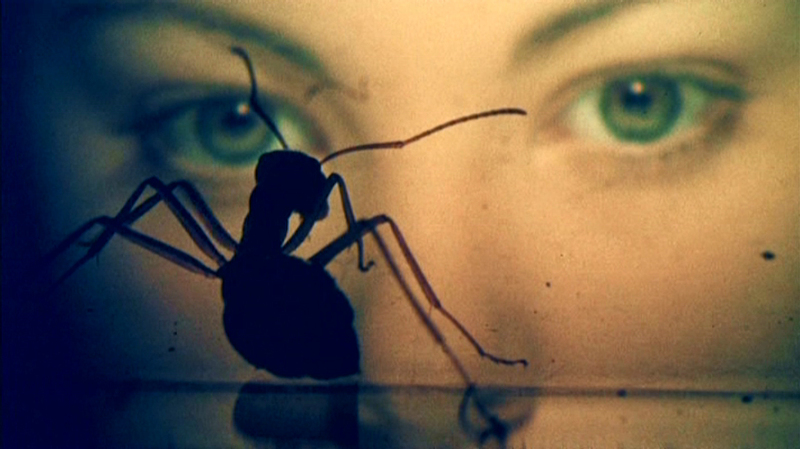 I remember seeing the poster for the killer ant movie Phase IV in a video catalog sometime around 1984. My dad had just gotten a brand new top-loading VHS player (laugh all you want, those were great), and I would read as many brochures and magazines as I could get my hands on. Ravenous invaders controlled by a terror out in space, teased the copy as an ant crawled out of an outstretched bloody hand. Hot damn. It frightened me – I was a pretty impressionable kid when it came to scary films – but it still seemed oddly interesting. Well, I looked but don’t remember ever finding a copy – this was Puerto Rico in the 80’s, so there weren’t many choices aside from a handful of local stores (I eventually worked at some of them, but that’s another story). It wasn’t until the early 90’s that Blockbuster came knocking, and still their selection was pretty limited to big Hollywood fare. Fast forward to 2014: I’m surfing the streaming selections in Netflix and suddenly I run into Phase IV again. After years of anticipation, I could finally watch it! I waited for my wife and son to go to bed, plopped down on the couch, and pressed play on the remote, ready for what was sure to be an amazing experience. Twenty minutes in I was falling asleep. Phase IV is one bore of a movie, confusingly plotted, badly acted, and devoid of any scares or suspense. Too bad, because there are musings of an intellectual nature – behavior in isolation, group dynamics, science and morality – that point to a good movie buried here somewhere. What’s worse, it was directed by legendary graphic designer Saul Bass, a man responsible for the groundbreaking title sequences of films such as Anatomy of a Murder (1959), Psycho (1960), and It’s a Mad, Mad, Mad, Mad World (1963). Should’ve stayed designing – apart from cool macro photography by Ken Middleham, you might as well go watch real ants in your patio. Perhaps my thirteen-year-old counterpart would’ve been transfixed, but this older version of me was counting the minutes before I could go to bed. David Cronenberg, please remake this ASAP!